Right-click on the photo you want to hide and click Hide. Press either the Delete or H key on your keyboard. This will hide the image from the gallery. Click the ⚙️Filter button at the bottom of the gallery and select Show Hidden Images. You can now see hidden images appear at the bottom of the gallery, if you want to include them back in main section you can deselect the same option. 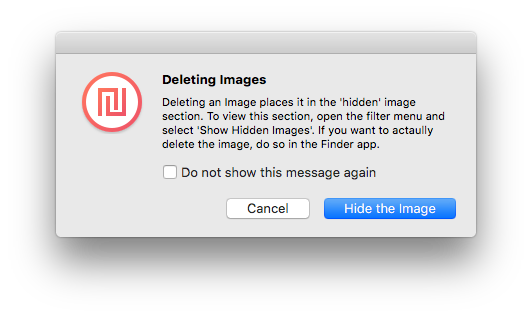 Click here if you want to learn how to hide images, so that they no longer show in the gallery.